The weather in the Willamette Valley has been all over the map lately. Depending upon the day fishing conditions have varied greatly as well. On bright days with air temperatures in the 70s we are seeing snow melt slow the afternoon fishing. Despite tons of caddis adults on the water fewer fish than you might expect are rising to them. The lower reaches of the river have been the least affected by this “mid day melt” period. Nymphing has remained consistent with a variety of deep dredging tactics working well. Mega Princes, Possie Buggers, stonefly nymphs, Pheasant tails, various Euro style nymphs fished deep are all working well. The March Brown Hatch has hung on nicely but for the most part it’s all over. Green McKenzie Caddis, Golden Stones and even Giant Stoneflies are present on warm afternoons. Look for the Green Caddis to really get going in the later parts of warm afternoons in the coming weeks. The March Brown hatch was one of the best in years let’s hope the Green Caddis is also solid. 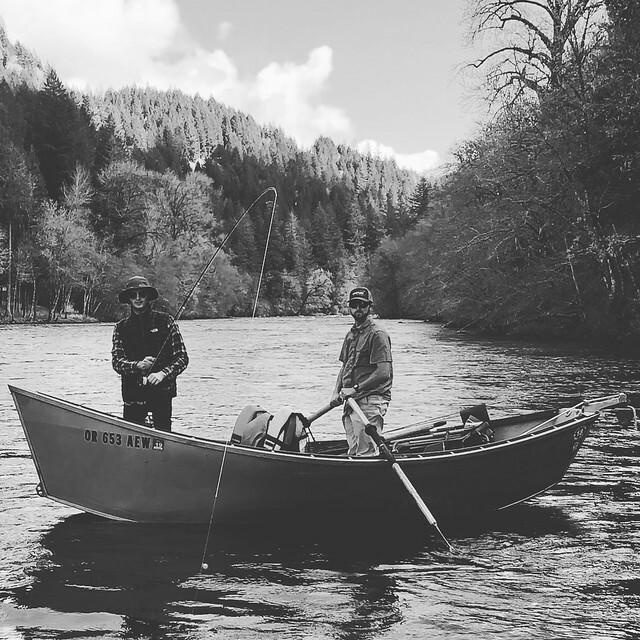 Water levels remain ideal and both the McKenzie and Middle Fork of the Willamette are fishing really well.